The Park East is a modern low-rise building featuring a private central courtyard. 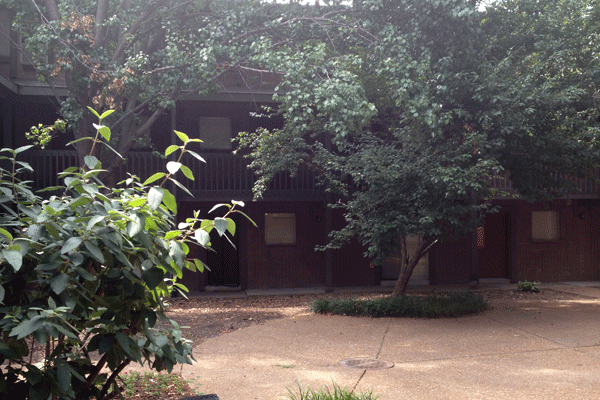 Located between Euclid and Taylor in the Central West End, this building includes townhouses and garden units. Whole Foods is now open, 1 block from Park East Apartments. IKEA is now open, just a few blocks away. All units are equipped with a 4 burner gas stove, frost-free refrigerator, dishwasher, disposal, mini-blinds, track lighting and an entry system. At an additional charge, you can get surface parking and cable TV. Neighborhood amenities include a wonderful variety of restaurants featuring cuisine from all over the world. There are also a few fast food restaurants for those of you who are always on the run. Renowned Forest Park, known for hosting the 1904 Worlds Fair, is practically across the street. This incredible city feature includes the St. Louis Zoo, the St. Louis Art Museum, the History Museum, the St. Louis Science Center and the Muny Opera. It also has miles of jogging and bicycle paths, several golf courses, an ice skating rink, lakes and, of course, a lot of big, green trees. Individual utilities with central air-conditioning.